Looking back from the prospective of mid-May, I am still a bit overwhelmed with how fantastic the month of April was for me. Simply awesome. The two highlights were completing the Chamonix to Zermatt ski traverse and a three-week sport climbing trip to Kalymnos. 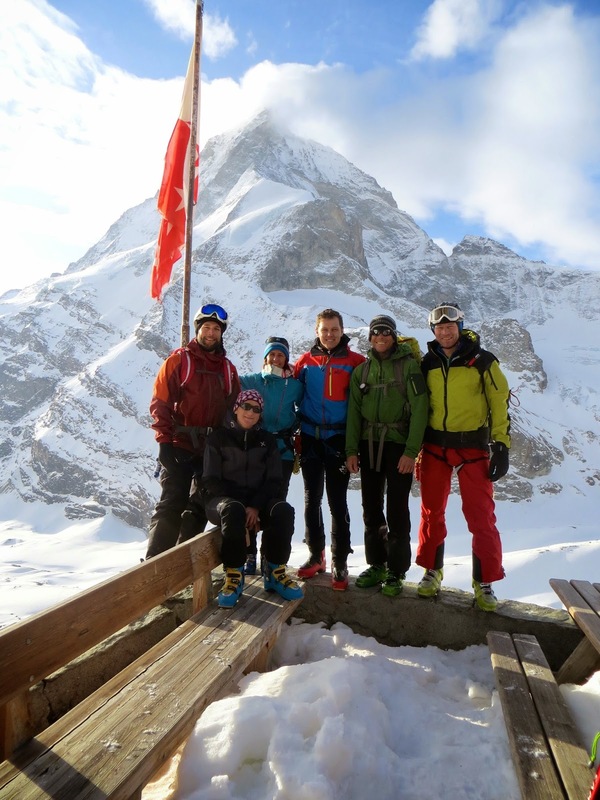 I was very fortunate to guide five excellent and top-fit skiers on the "Haute Route" from Chamonix/Argentiere to Zermatt. The group was a private group from the Salzburg Alpenverein. We had relatively good weather. At times it was very windy and cold. On the last day, our stage to reach the Schönbiel hut above Zermatt, the weather turned and the visibility was restricted with strong winds and light snow.. 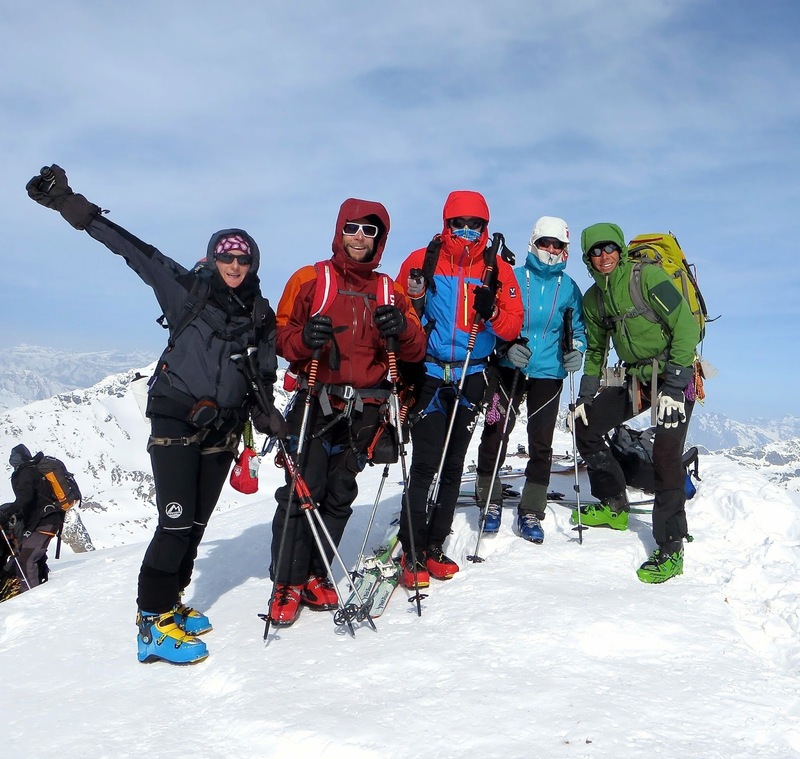 The ski traverse was really exceptional because of the fantastic mountain environment, the time spent together in the huts hanging out with all the participants and the wonderful feeling of jointly succeeding in reaching a shared goal. Personally for me what was a great lesson in life was how the trip became a reality based on a simple conversation between myself and two of the participants during a rainy fall day in the climbing gym. 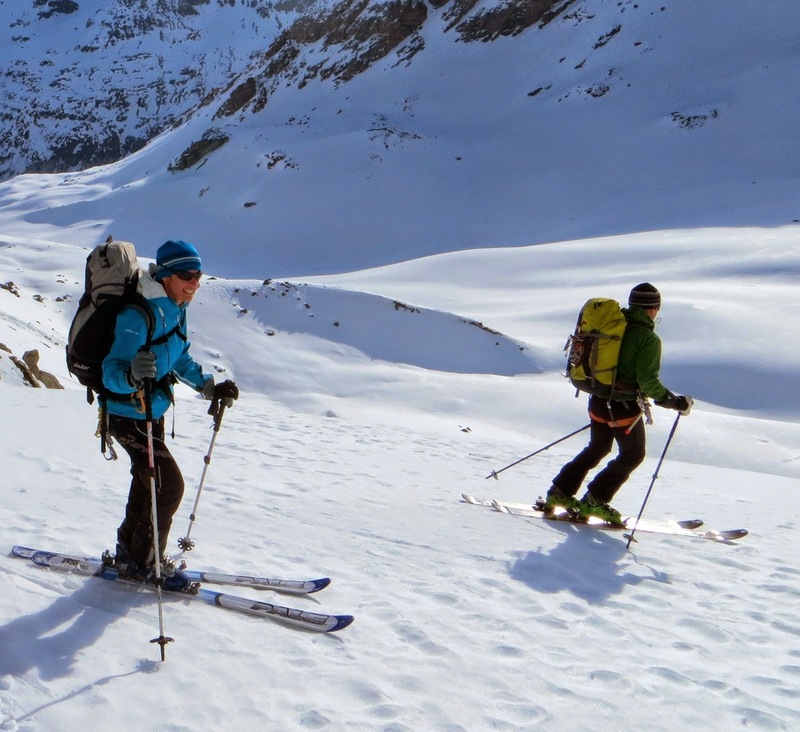 Two long-time friends mentioned how many great experiences we shared as a group that was regularly underway over the last seven/eight years as I guided them on many trips in the mountains: Grand Paradiso North Face, Hoch Tirol ski traverse, ice faces in Tirol and Salzburg, Mont Blanc from Italy, etc., etc. 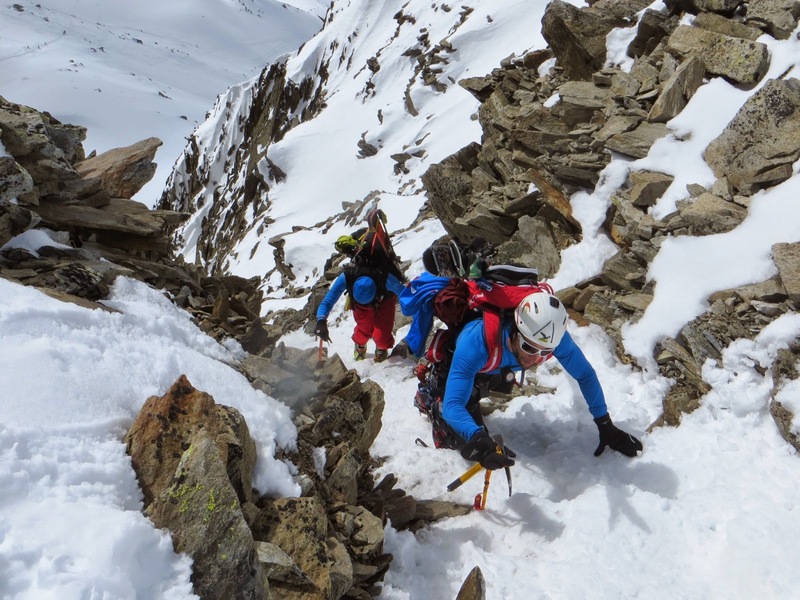 I mentioned that I would love to do the Chamonix-Zermatt traverse this season and they said that would be a great excuse to get the group together again. I was determined to see that I saw the tour through to Zermatt from the germination of a seemingly simple comment. I believed in our success as step-by-step small signs would materialise giving me indications that the mountain gods where aligning and giving us the chance to realise a special life-long goal. I was back in Salzburg for a brief week before flying to Kalymnos. Like the Chamonix-Zermatt traverse, the germination for a sport climbing trip to Kalymnos came from an off-handed remark a client, Martina, made while training in the Anif climbing gym. She was saying that the wet early spring weather was making it impossible to climb outdoors and she would love to go to Kalymnos again over Easter. "I'd go in a minute", I responded, adding that I was serious and lets do it. A few weeks later, four of us were sitting on the train to Munich on our way to our flight to Kos and ferry transfer to Kalymnos! I had a fun week with Martina and Sophie, then a second week together with Jennifer and the third week I was able to set up the cooperation with a partner organisation on Kalymnos to instruct and guide sport climbing and put up some new routes with my friend Claude. On Kalymnos, I was able to climb with my friends Nicola, Claude and Yannis as well as meet and climb with a handful of Italians and Greeks that are distend to become friends as we certainly will reunited on Kalymnos in the future. As I become more and more aware of how life really works, I am just learning how what seems as an insignificant thought can be channeled into actions and behaviours that bring meaningful, true fulfilment in life.